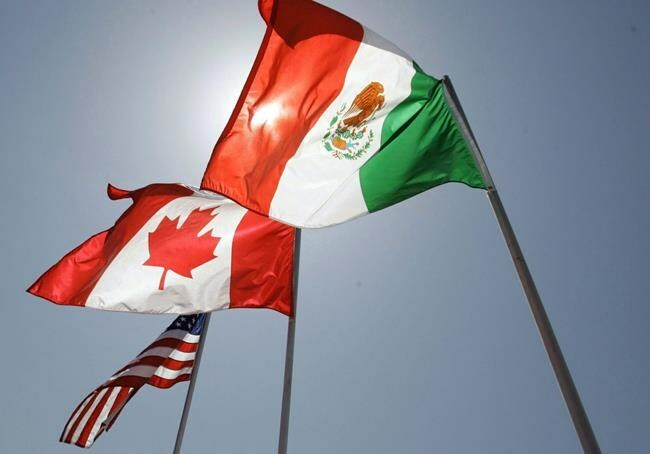 MEXICO CITY — Canadian negotiators intend to provide a briefing to their American peers on how their auto proposals would devastate their own domestic industry, in an effort to reset one of the most difficult conversations looming over the renegotiation of NAFTA. Multiple sources say that at the current round Canada will not deliver a counter-proposal — but a presentation. They expect Mexico will also delay a counter-offer on auto parts, amid hope the U.S. might revise its own position. They say the countries are making progress at the current round in Mexico City on less-controversial files while saving the thornier ones for later in the negotiations, with auto parts decidedly parked in that difficult category. The U.S. proposal at the last round drew a backlash from Canada, Mexico, the auto industry, and from dozens of American lawmakers who released a public letter blasting it. The American proposal had four main components: insisting half of a car's parts be from the U.S. to avoid a tariff, drastically increasing the amount of content required from North America overall, toughening the method for calculating the parts percentages, and insisting that companies implement all those changes within a year. Some auto-parts representatives say that package is so unrealistic it would prompt companies to move production out of North America, build in Asia, and just pay the import tariff, which starts at 2.5 per cent for cars entering the U.S. The Canadian side will lay all that out in an exhaustive presentation Monday. ''What they've put forward is completely unworkable. It doesn't even achieve their own goals. We intend to walk them through that in extreme detail,'' said one Canadian official, arguing that the U.S. should take another stab at presenting something viable. Canada's presentation was developed in consultation with industry players. One of them is present at the talks in Mexico and he welcomes the Canadian approach. Flavio Volpe says the U.S. proposal never made commercial sense, and appeared designed to shock other countries' negotiating parties. So he says it's logical those other countries would try to reset the conversation — rather than engage on unrealistic terms. ''You turn around and say, 'Okay, guys, if we accept your proposal as your real intention, your real intention is hurtful to your own interests. Do you know that?''' Volpe said in an interview at the hotel where talks are being held through Tuesday. The current round of NAFTA talks in Mexico City will include four days of discussions on rules of origin for different products, including auto parts. The auto component will come up Monday, the day before talks wind up. Politicians will not attend this round. After an acrimonious round in Washington last month, there has been an attempt to lower the political temperature of the process, and give negotiators space to work. For starters, the target deadline has been pushed back a few months, into next spring. Also, the countries' lead NAFTA ministers, Chrystia Freeland, Robert Lighthizer and Ildefonso Guajardo, will skip this round. A union leader representing auto workers agrees with Volpe, who represents the companies that make parts. Unlike the companies, Unifor leader Jerry Dias welcomes more stringent domestic content requirements. But he agrees the American proposal, as designed, should not be the baseline for a discussion. Dias asked: why would Canada engage in a serious back-and-forth on auto parts as long as U.S. demands, like a 50 per cent American content requirement per vehicle, are seen as so impractical they're being derided even within the U.S.? After speaking with Canada's negotiating team in Mexico, he's confident they share his view. Different government sources have also confirmed to The Canadian Press that no major counter-proposals on hot issues will be made at this round. ''As long as the United States has those types of proposals on the table, Canada will not move at all,'' Dias told reporters staked out in the hotel lobby. Volpe said the big wild card resides in the White House. He said the Canadians face a unique challenge in dealing with seasoned, professional negotiators from the office of the United States Trade Representative, while aware that those negotiators could be blind-sided by a president who has repeatedly threatened to start cancelling NAFTA as a negotiating tactic. He suspects that might be the motive for last month's shock-and-awe U.S. demands. Volpe says the president would be perfectly happy if the other countries left the table, and gave him an excuse to invoke NAFTA's withdrawal clause, as President Donald Trump has frequently said he wants to do. ''The strategic objective was to rupture the talk dynamics, maybe have Canada and Mexico leave. That didn't happen,'' Volpe said.